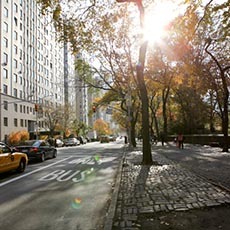 Although the boundary between Chelsea and Flatiron is vague, Chelsea mainly sits between Hudson River and Broadway, spanning from 14th Street up to about 30th Street. 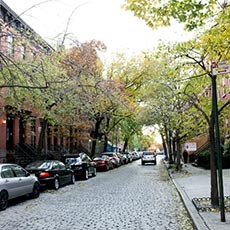 In Chelsea there mixes prewar townhouses built in 19th Century, tenement buildings, lofts, with contemporary high rises. Many former industrial spaces have been renovated and turned into lofts with high ceilings and large windows. London Terrace developed in 1929 occupies the block between 23rd and 24th Streets. It is a luxury co-ops containing a garden and a pool. The former Highline railway has been revitalized and become a well-designed green space which brings a huge commercial and residential growth to Chelsea. The waterfront – known as Chelsea Piers nowadays – was also renovate and is currently a sport and recreation center. The former NABISCO building that used to house clothing and food in 19th and 20th Centuries is called Chelsea Market now. 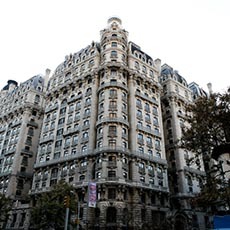 Hotel Chelsea built in 1883 is popular among celebrities and well-known artists. 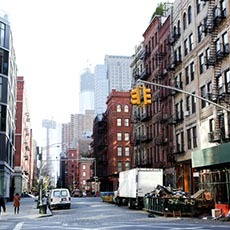 Numerous art galleries and artist studios moved to Chelsea in mid ‘90s, bringing art, cultural events, and celebrities to the neighborhood. The nightlife is also one of Chelsea’s features.